Look look at Susannie’s version of the felt flower yarn! 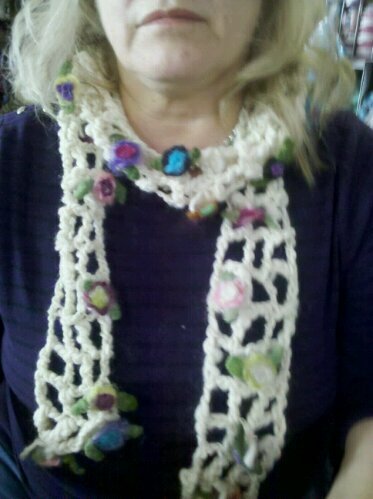 She will offer the class for this scarf on Sat March 5 from 10-12. Basic crochet skills needed. Hook size – k. Class fee. $10. Next OVERNIGHTER -March 5 from 7:30-? Cost $20. plus a snack to share!